In past Tibet tour seasons, the trek from Ganden Monastery to Samye Monastery has been gaining popularity. Tibet Travel Expert Service tour company has recently upgraded it’s Ganden to Samye Monastery trek to include a visit to Yarlung Valley, the cradle of Tibetan Civilization. Along the trek, travelers will enjoy varied remote Tibetan scenery. Highlights include forestland and rocky landscapes, etc. You will also have the opportunity to learn about Tibetan Buddhism. The trek begins after taking time to visit Ganden Monastery and ends at Samye Monastery after four days of trekking. After the trek, groups will learn about Tibetan history in Yarlung Valley. This twelve-day tour is perfect for those who are adventurous and take joy in discovering new cultures. Ganden Monastery was founded in the early fourteen hundreds. It was traditionally a center of political and administrative power for the local area. Of the three university monasteries in Tibet (the others are Drepung and Sera) it is the furthest away from Lhasa and has typically housed a smaller population of monks. Samye Monastery was constructed much earlier and is said to be the first Buddhist Monastery in Tibet. The Tibet trek between the two traverses mountain passes that provide stunning views of the surrounding area, the highest being at around 5200m. Groups will climb down from mountain passes through fields of boulders and into valleys with streams and herds of animals. The last day of the trek passes through lush forests with more than fifteen different kinds of scrub trees. Then you finally arrive at Samye Monastery. After exploring Samye Monastery on the final morning of this fantastic Tibet hiking tour, travelers will cross the widest section of the Brahmaputra River on a ferry. The group’s Tibetan driver will take them to the Yarlung Valley to see its fertile pastures and Yungbulakang Palace that towers over the valley high atop a mountain. 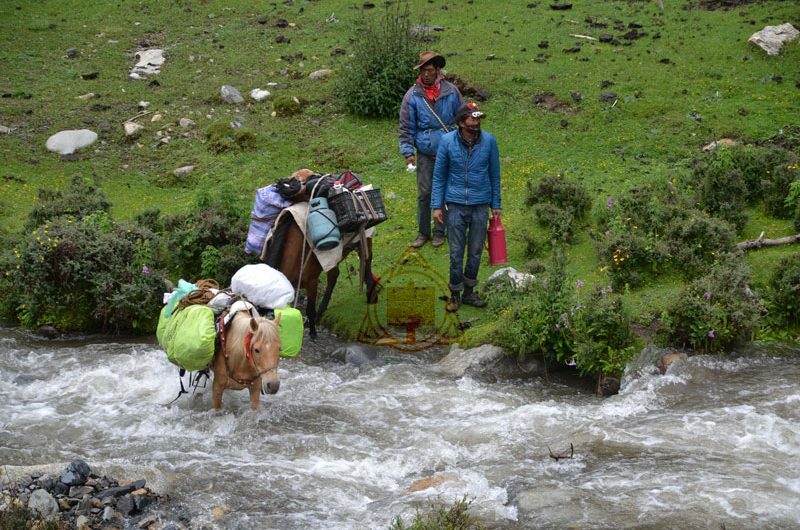 If travelers are too tired to make the trek up, they can ride a horse for a small fee. Legend has it that Yungbulakang is more than two thousand years old and was the place where Tibetan Buddhism descended from the sky. On this tour, there are magnificent and inspiring sites to behold at every turn. While acclimatizing in Lhasa, travelers will see culture on tour at some of Tibet’s most important historical sties such as Potala Palace and Jokhang Temple. The remote trek allows hikers to get in touch with nature. A visit to Yarlung Valley provides a window back to ancient Tibetan Civilization. 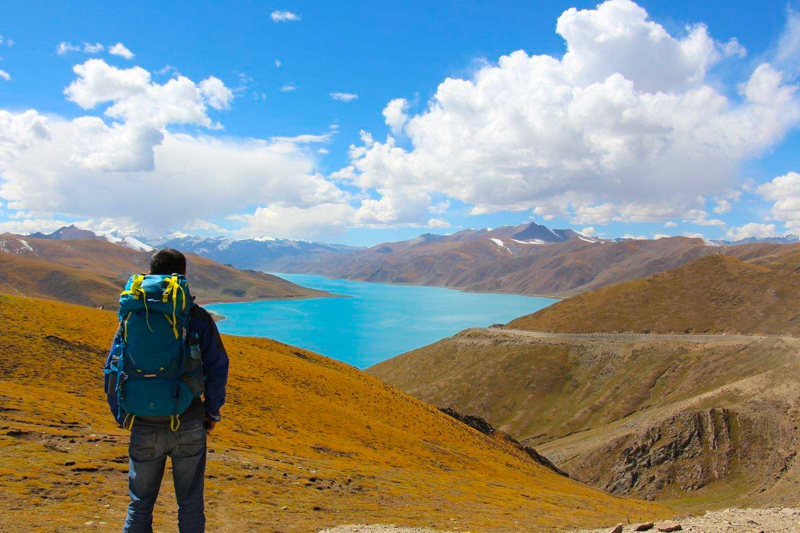 Our Tibet tour agency takes care of details such as trekking equipment, food and transportation; all travelers have to do is bring a sense of adventure and curiosity! For more information, contact Tony at Lhasa based Tibet travel agent. Tony authored this article; Tony is a Tibet travel enthusiast who is training to become an China and Tibet inbound Tourism entrepreneur. You can get to know Tony at https://www.tibettravelexpert.com and learn more about our Tibet travel blog.